It looks like ‘The Voice’ is about to get even more star-studded this season! 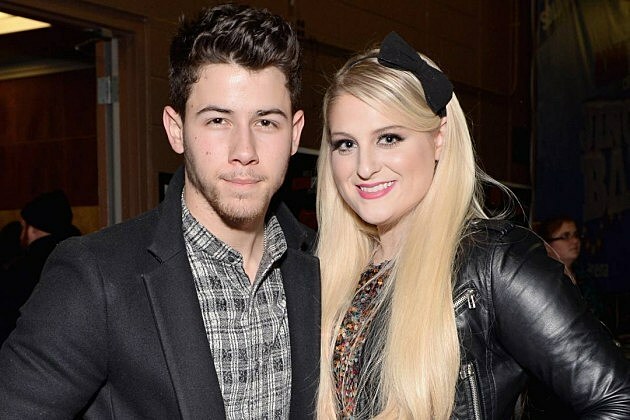 Nick Jonas and Meghan Trainor have joined Season 8 as mentors, Us Weekly reports. According to Us, the ‘Jealous’ singer and ‘All About That Bass’ songstress will join Ellie Goulding and Lionel Richie as celeb mentors this season. The magazine reports that Jonas will mentor Christina Aguilera‘s team, while Trainor will help out Team Blake Shelton. Goulding is set to aid Team Adam Levine while Richie will mentor Pharrell‘s team. ‘The Voice’ Season 8 will premiere on Monday, Feb. 23 — and we can’t wait. While we’re already psyched that Christina Aguilera is back after taking two seasons off, the fact that some of our fave pop artists are added to the mix is only making the anticipation greater. C’mon, February!